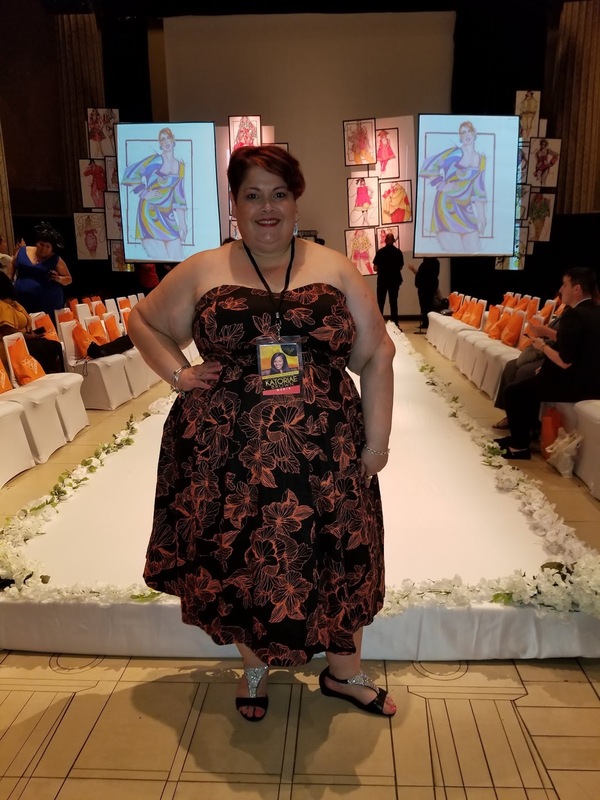 I had an amazing call today with an up-and-coming designer named Elle Dove who creates clothing for ALL sizes. Now when I say ALL, I truly mean all. She wants to dress everyone and her passion gives me hope that the fashion industry, including major brands, will see the importance of fashion for everyone. Here's an interview I did with her a few months ago for PLUS Model Magazine here. When discussing why she chose certain women to be her brand ambassadors (including me! ), she said to me "The woman is the one who sells the clothing, not the brand." She explained in detail how she does not look at just numbers but who your followers are and what your platform stands for. And that resonated with me so deeply because it is so true and the core of what an influencer should be. Looking solely at numbers over engagement. 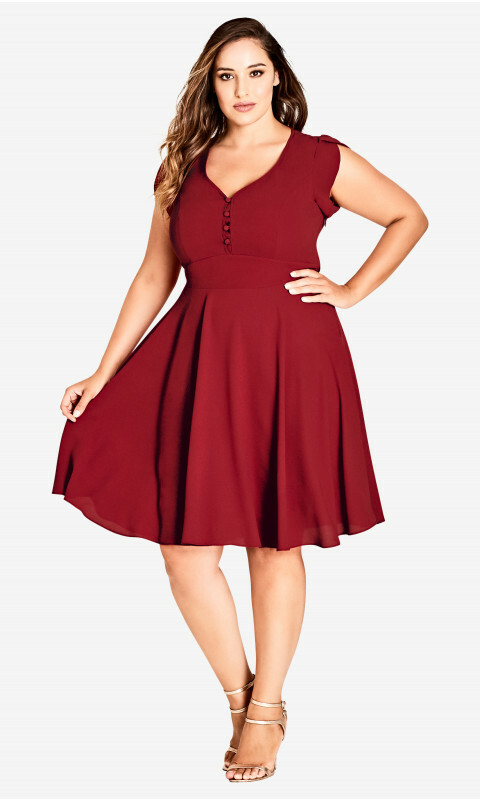 Choosing only to offer up to a certain size or calling it "size inclusive" but stopping at a size 3X/24. Using influencers whose bodies fit a certain beauty ideal that is acceptable to society (hourglass and pear shapes under a size 24). 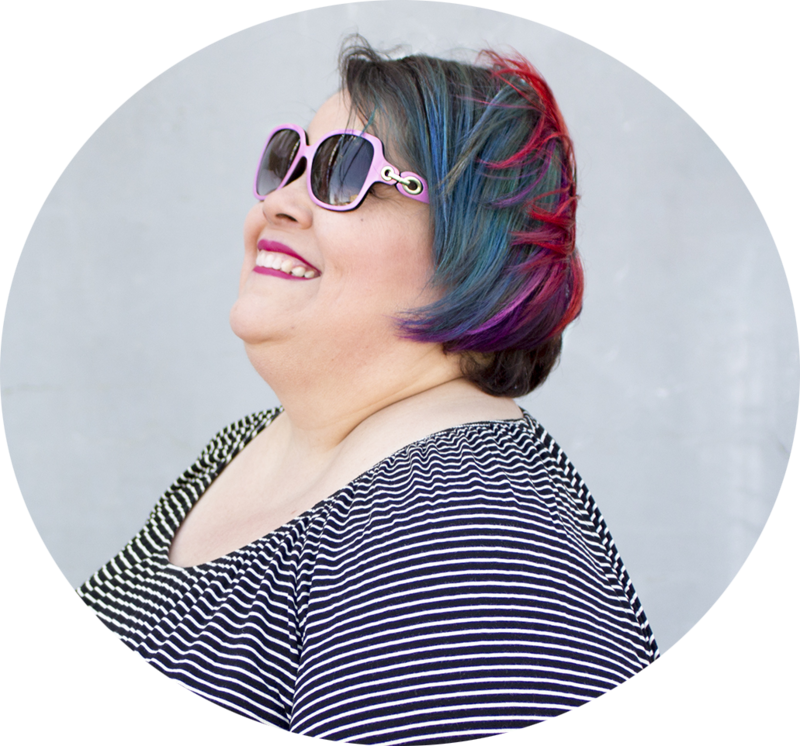 So as someone who is often outsized within my own fashion industry, I have learned over the years that shopping is not always fun and is honestly a sport. And I am a repeat gold medal winner. I constantly have "make it work" moments with Tim Gunn's voice in my ear. One of the things I have learned is to #IgnoreTheSizeTag. Yup, that's going to be my new hashtag going forward. Sizing is so inconsistent across the board, even in straight sizes! 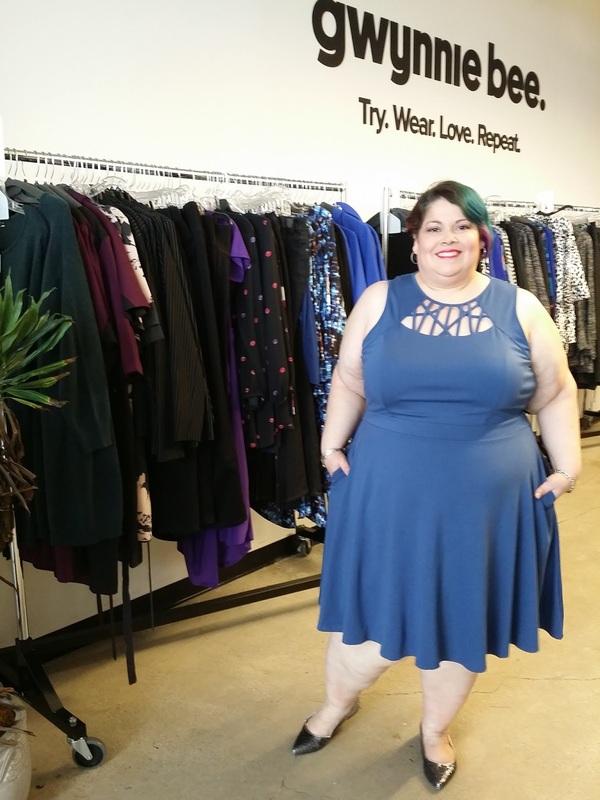 I hate to try on clothes and would love to just buy off the rack but that is not just possible, especially when you're plus size. Once I accepted this and adapted, I have become savvy as knowing what fits me. 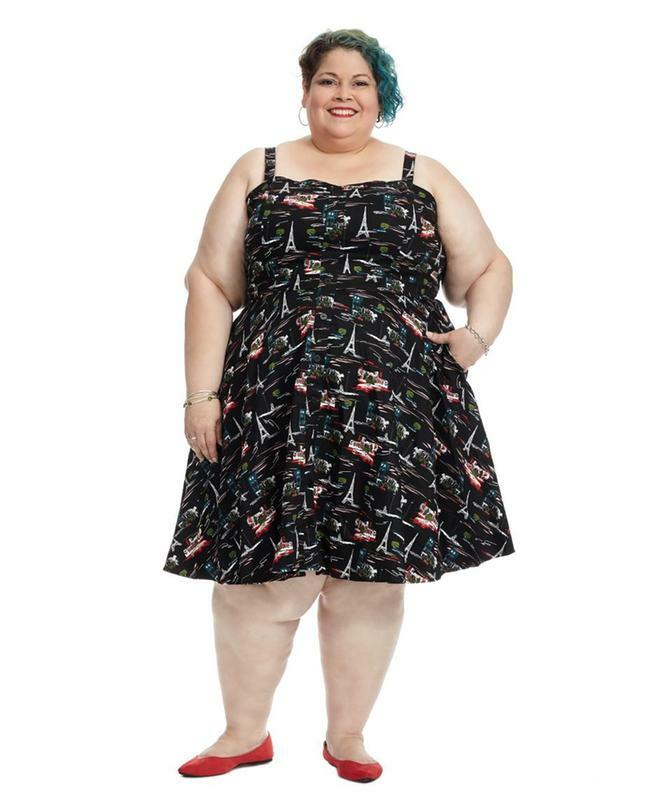 I admit, I used to bypass brands that only went up to a size 24. I naturally thought I could not fit into anything they sold. I was also programmed to always reach for the larger size and have learned to not do that anymore. Baggy clothes do not hide the plus body. For me, it made me look bigger. Sure, I was hiding my rolls and such. But I looked as if I was wearing a tent. Not cute. During my days of hiding my body in larger clothing. 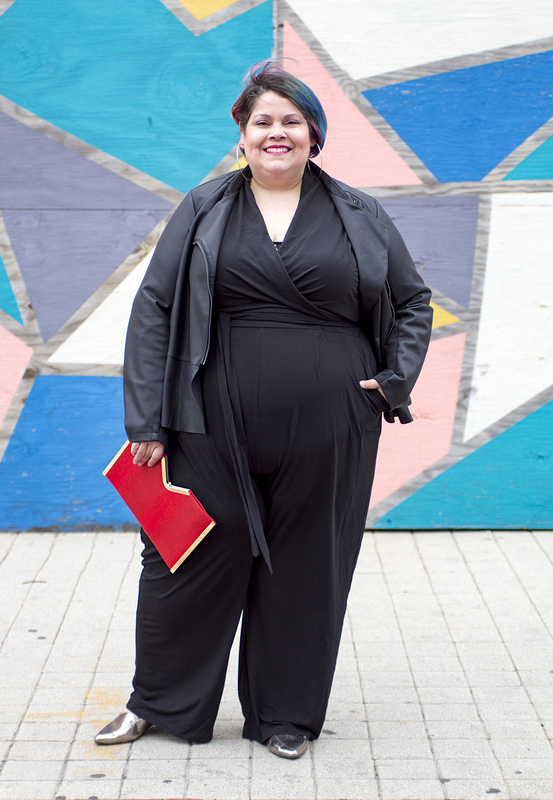 There is no magical way to hide that you're fat so why not dress the best way you can and feel good about yourself? That has been an important part of my self love and acceptance journey. Life is short so why should I wait to wear what I want? 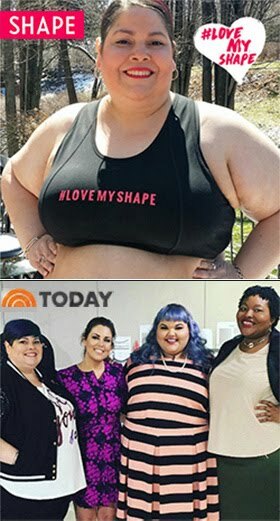 Why should I have to lose weight to look fabulous and show off my style? The time is NOW. 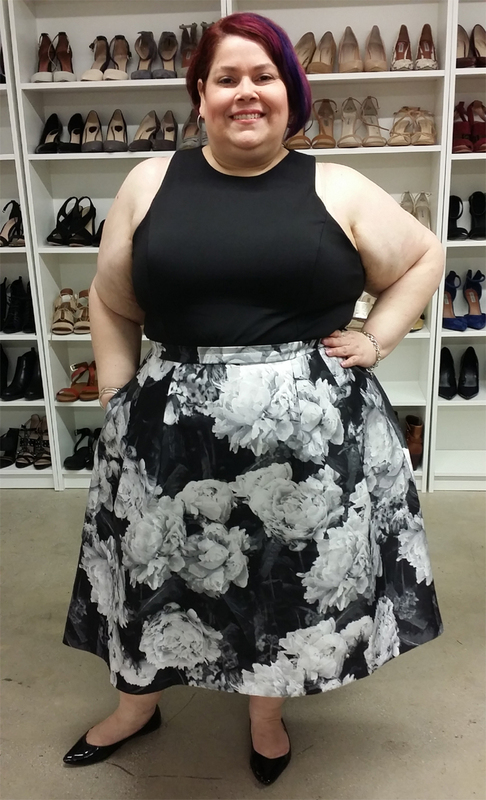 One of my favorite brands to shop that stops at a size 24 is City Chic. Nine times out of ten, I have been able to fit into their size XXL, which is a 24. For the record, I usually wear a size 26 on top and a 28 on bottom. My measurements are 55-53-68. Their strapless dresses are everything! They have piping and an adhesive band around the top part (similar to what you see in strapless bras) so it stays in place. 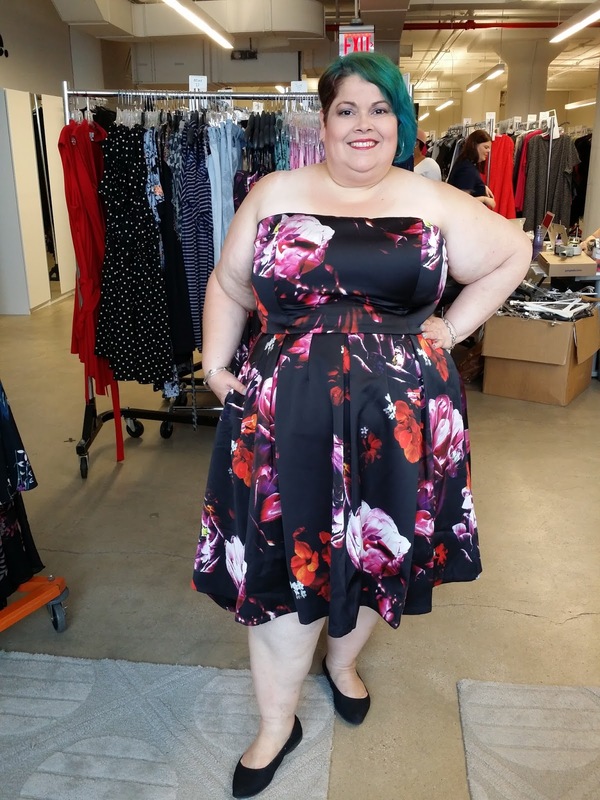 When I finally got the courage to let my wings be free and wear strapless dresses, City Chic was the first brand I wore. 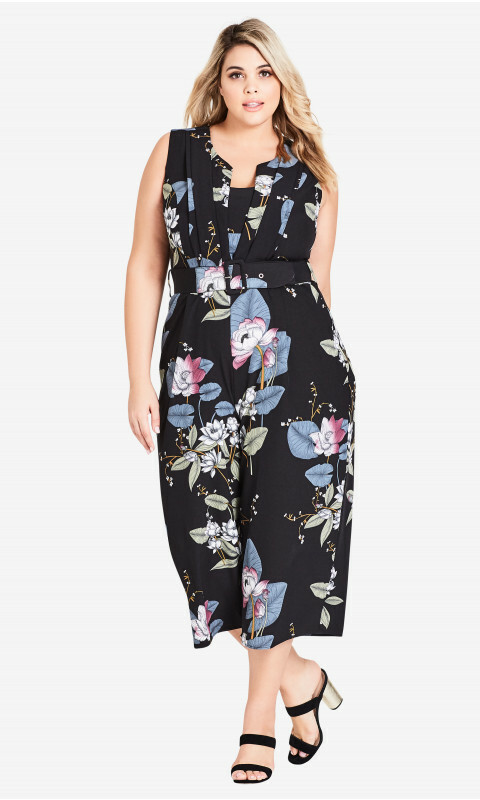 The first jumpsuit I ever tried was from City Chic and it changed my mind on jumpsuits forever. I think that we have been fed so much negative rules and criticisms for most of our lives that it takes time to reprogram our thoughts. But I still live by that mantra "Change your mindset, change your life." It didn't happen overnight but I started out with one body part: my arms. And then once I took that step, it got easier to continue to push myself out of my comfort zone and not be afraid to show my body in public and stop covering up. City Chic has been one of those brands that has been a part of my self love journey. While I do think they should consider expanding their sizing to 32, I still celebrate them for what they do get right... the fit! 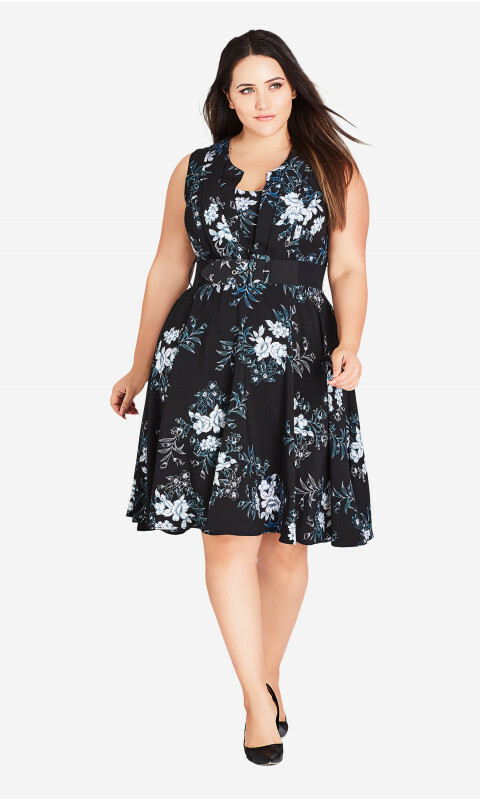 They truly ensure that their clothing fits a curvy, plus body that has extra in some places. I also check the fabric and if I see spandex or elastane in it, that means it has some stretch. Yes! The biggest shopping lesson I have learned over the years is to shop by fit and my measurements. Even if the size tag does not align with what size I am. 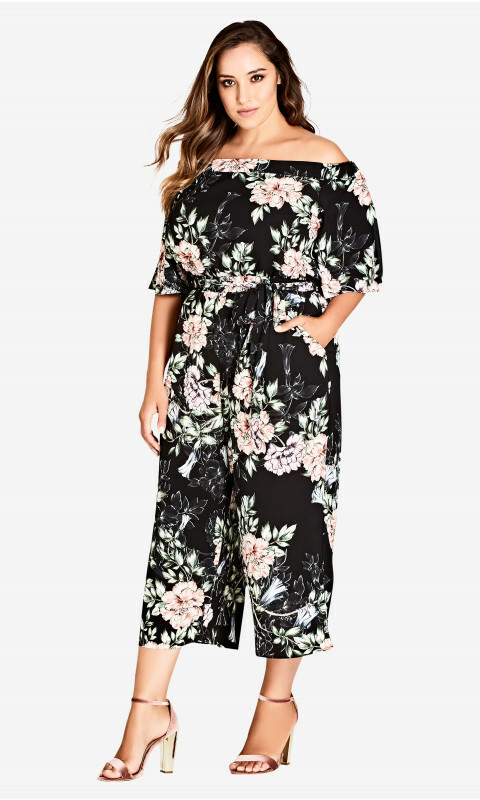 Just an FYI, this is not a sponsored post and City Chic has no idea of my love for them. Sometimes we have to show our support for free because that's how we not only build relationships that can lead to a profitable future but also to spread the word. Our voices must be heard in order to make change and sometimes complaining is not enough. 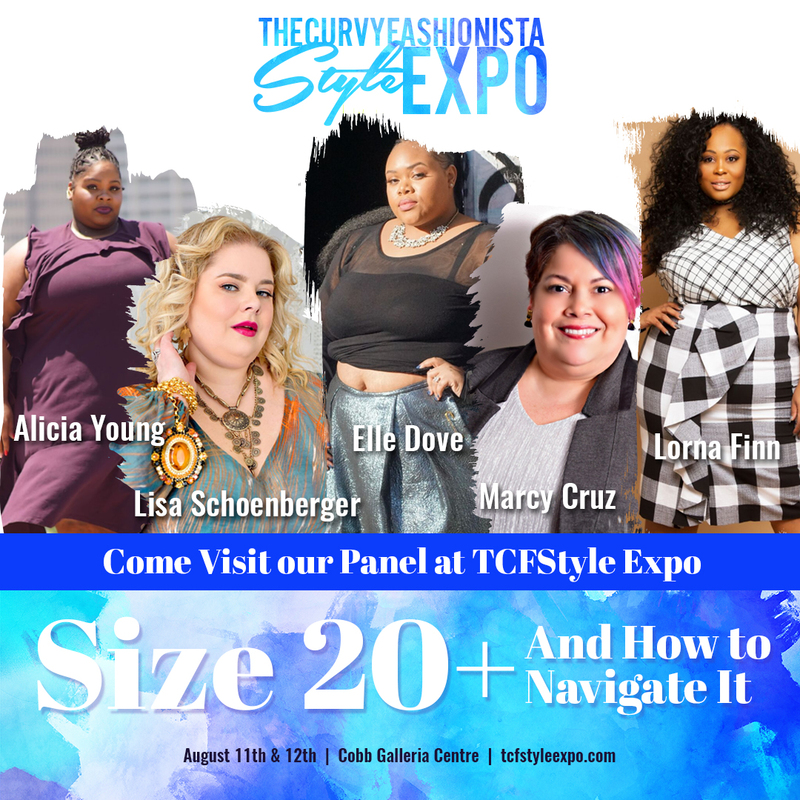 If you love what I have to say regarding fashion, fit and style for the size 20+ woman and you're in or near the Atlanta area, come hear me speak this weekend at the TCF Style Expo! I'm on an amazing panel of incredible women talking to this very topic. 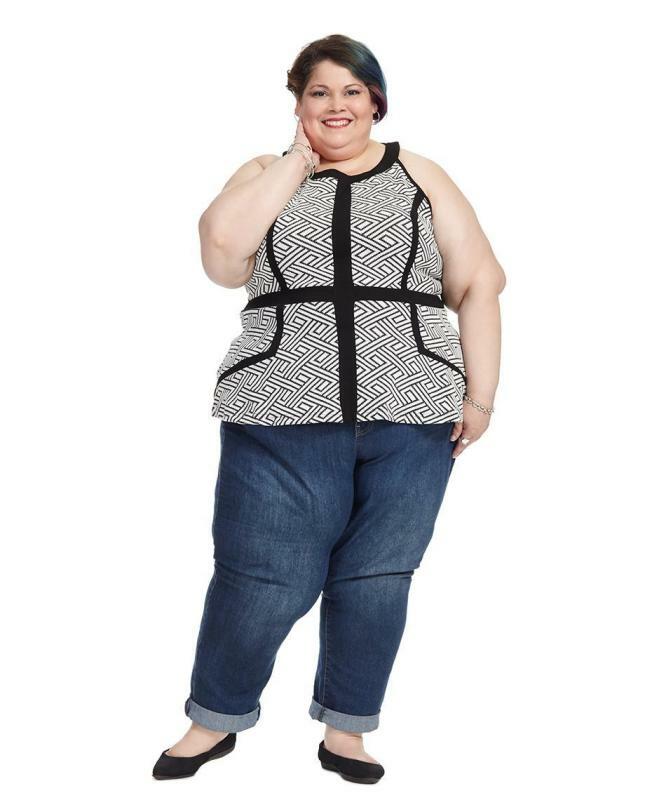 The panel will be moderated by Alicia Young of AP Young Blog, who is over a size 24. You can still get tickets to the TCF Style Expo here. Would love to see you! Have a great time in Atlanta spreading the word!! !